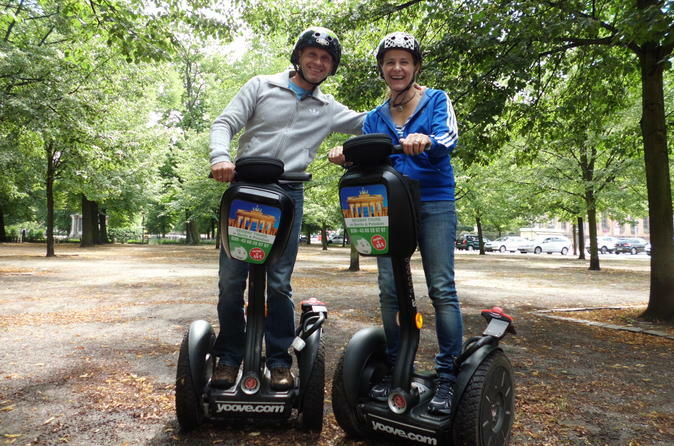 Zip around the mighty Prussian palaces and regal parks of Potsdam on a thrilling 3-hour Segway tour. Learn to operate your easy-to-use self-balancing Segway, then follow your guide on a scenic tour around UNESCO-listed Potsdam. Learn more about the historic Brandenburg capital from your guide and spot architectural wonders like Sanssouci Palace, City Palace or Charlottenhof Palace along the way.